The first article in this series presented three “cosmic truths,” realities about requirements that I’ve discovered to apply to virtually all software projects. This article continues with three more such insights, focusing on requirements and the project stakeholders. Cosmic Truth #4: The interests of all the project stakeholders intersect in the requirements process. Consultant Tim Lister once defined project success as “meeting the set of all requirements and constraints held as expectations by key stakeholders.” A stakeholder is an individual or group who is actively involved in the project, who is affected by the project, or who can influence its outcome. 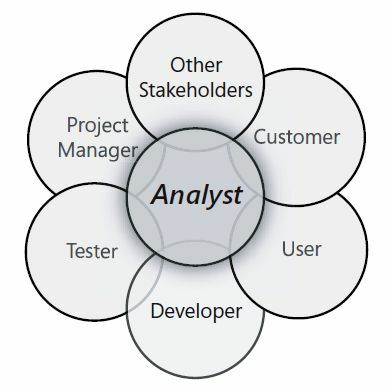 Figure 1 identifies some typical software project stakeholders. Certain stakeholders are internal to the project team, such as the project manager, business analysts, developers, and testers. Other stakeholders are external, including customers who select, specify, or fund products; users who employ the systems; compliance certifiers; auditors; and marketing, sales, and support groups. The business analyst performs a central communication role, being responsible for interacting with all these stakeholders. Further, the BA is responsible for seeing that the system being defined will be fit for use by all customers, perhaps working with a system architect to achieve this goal. Figure 1. Some typical software project stakeholders. Cosmic Truth #5: Customer involvement is the most critical contributor to software quality. Various studies have confirmed that inadequate customer involvement is a leading cause of the failure of software projects. Customers often claim they can’t spend time working on requirements. However, customers who aren’t happy because the delivered product missed the mark always find plenty of time to point out the problems. The development team is going to get the customer input it needs eventually. It’s a lot cheaper—and a lot less painful—to get that input early on, rather than after the project ostensibly is done. Identify user classes. Customers are a subset of stakeholders, and users are a subset of customers. You can further subdivide your user community into multiple user classes that have largely distinct needs. Unrepresented user classes are likely to be disappointed with the project outcome. Select product champions. You need to determine who will serve as the literal voice of the customer for each user class. I call these people product champions. Ideally, product champions are actual users who represent their user-class peers. In some cases, though, you might have limited access to actual users, so you need to employ surrogates to speak for certain user classes to the best of their ability. Such surrogates might be subject matter experts or marketing personnel. When developers are forced into the position of trying to identify user needs, they often don’t do a great job. Build prototypes. Prototypes provide opportunities for user representatives to interact with a simulation or portion of the ultimate system. Prototypes are far more tangible than written requirements specifications and easier for users to relate to. However, prototypes aren’t a substitute for documenting the detailed requirements. You also have to watch out for the risk that users who evaluate prototypes will conclude that the system is almost done and press the development team to release the prototype as a delivered product. This is usually a disaster. Agree on customer rights and responsibilities. People who must work together rarely discuss the nature of their collaboration. The BA should negotiate with the customer representatives early in the project to agree on the responsibilities each party has with respect to the requirements process. An agreed-upon collaboration strategy is a strong contributor to the participants’ mutual success. Cosmic Truth #6: The customer is not always right, but the customer always has a point. It’s popular in some circles to do whatever any customer demands, claiming “The customer is always right.” Of course, the customer is not always right! We all know this. Sometimes customers are in a bad mood, uninformed, or unreasonable. If you receive conflicting input from multiple customers, which one of those customers is “always right”? It’s a silly philosophy. Presenting solutions in the guise of requirements. Failing to prioritize requirements or expecting the loudest voice to get top priority. Not communicating business rules and other constraints, or trying to get around them. Expecting a new software system to drive business process changes. Not supplying appropriate representative users to participate in requirements elicitation. Failing to make timely decisions when a BA or developer needs an issue resolved. Not accepting the need for tradeoffs in both functional and nonfunctional requirements. Not accepting the cost of change. The final article in this series will present four additional cosmic truths dealing with requirements specifications. Read the Cosmic Truths about Software Requirements, Part 1. Read the Cosmic Truths about Software Requirements, Part 3.